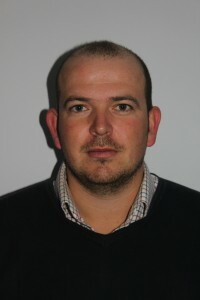 Jon Rooke – is the production manager for HZPC UK. Jon was brought up on the family farm in North Yorkshire. He went to Harper Adams to study Agriculture with crop management in 2003. 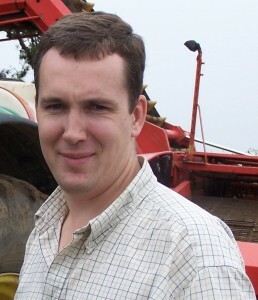 Once qualified he started at Greenvale AP at Tern Hill in 2007 as a graduate and soon moved into managing there Own Growing operation in the West. After 6 years he moved back to Yorkshire and now manages HZPCs UK seed growers. Jon lives on a farm a few miles north of York with his wife Charlotte, who makes wedding cakes professionally (www.applecharlotte.co.uk) and his children Bertie and Mabel. In his spare time he enjoys shooting, golf and playing cricket. Greenseed International Ltd are seed and salad potato growers with a mini tuber operation in the Scottish Borders, early generation seed production in Northumberland and final generation seed production in Norfolk. Additionally we are growing salad potatoes across East Anglia and in Sussex. I am based near Cambridge. I Chair the BPTA Seed Regulations Committee and represent the BPTA on the AHDB Treater Group and on the APHA Seed Potato Classification Taskforce. IPM Potato Group Ltd is an international leader in potato variety innovation and in the production, marketing and distribution of seed potatoes and is committed to delivering the best varieties for all potato customers: growers, processors, packers, retailers and consumers, through the supply of high quality seed at the start of the production chain. Since joining IPM in 2002, Graeme has held various roles throughout the business from seed production, operations, logistics, business development and is currently responsibility for international licensing and UK commercial interests. Graeme was elected to BPTA Council in 2010 and chaired the Export Committee before progressing to the Executive Committee in 2012 and taking office as the Association President in 2016. A sports enthusiast, Graeme particularly likes curling and football and enjoys spending family time with his wife Nicola and son Sam. Graham Bennett is a Director at Wolds Produce Ltd since 2012. Wolds market over 70,000 tonnes of potatoes each season from the processing to the packing market. 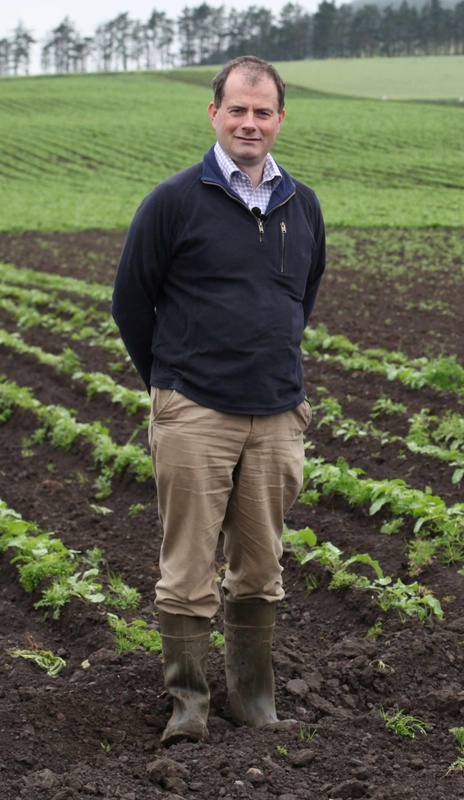 Graham was previously Seed Development Manager and helped Wolds grow its seed potato portfolio to around 450 acres of high grade seed from mini tuber to commercial grade. On leaving school Graham served an apprenticeship as an Agricultural Engineer for an International Harvester dealership before finding a sure footing in sales. He lives in his native North Yorkshire with his wife Beck and their 3 sons: George, Harry and Charlie where he enjoys mountain biking particularly in the North Yorkshire Moors National Park. Colin Herron ( BPTA Past President 2008-2010) is General Manager of McCain Foods (GB) Ltd based at Pugeston, Montrose. 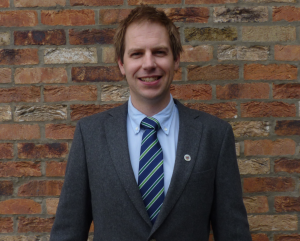 Previously on the Council of SPTA, Colin succeeded John Bell (IPM Potato Group Ltd) as the second President of BPTA and immediately set about raising the profile of the new organization both at home and abroad. 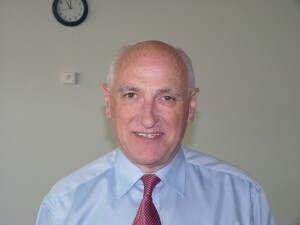 Colin championed the BPTA’s membership of Europatat our European umbrella organization and spear-headed the BPTA’s hosting of Europatat’s prestige annual Congress in Edinburgh in May 2010 when the new constitution for the European potato trade organization was ratified. Colin remains active in Europatat affairs through his chairing of its Technical & Regulatory Issues Commission. Colin is married with two children and likes to keep himself fit by running and cycling. I have spent 25 years in the potato industry, primarily as a producer in Herefordshire in the 90’s and noughties, then as a Director of an agri-business in East Anglia, where I worked for 10 years. 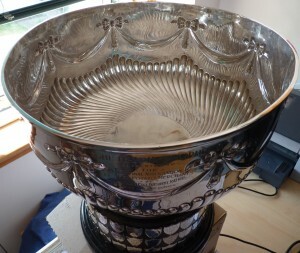 I currently work in the seed potato industry, sourcing and supplying for ASDA through IPL. My farming pedigree ensures my ‘grower interests’ remain to the fore, having operated on both sides of the fence. I still live in Herefordshire, and operate my seed and consultancy business from there, travelling extensively throughout the UK and Western Europe. I am married to Michele, and we have a son and daughter who live in Bristol and Surrey respectively. Martin Cockerill is the Managing Director of RS Cockerill York Ltd and has spent the whole of his working life in the potato industry. The company is based near York supplying potatoes to both retailers, wholesale markets and processors. The company operates a packhouse with storage and loading facilities. Their farming business grows around 200 ha of potatoes mainly for processing.The company is involved in potato variety evaluation and conducts annual field trials. An increasing tonnage of both ware and seed potatoes are bought on contract rather than on the open market. Martin joined the company after graduating from Nottingham University School of Agriculture where he studied nutrition and biochemistry. It is also where he met his wife Pamela. I work for Pan European Potato Enterprise Ltd and CygnetPep ltd who are both major exporters of seed and table potatoes. The markets we are currently working with include Thailand, Indonesia, Egypt, Morocco, Saudi Arabia, Vietnam and Uruguay as well as most European markets. I have been involved with potato exports for more than 30 years and prior to that did PhD work at SCRI (now James Hutton Institute) on potato blackleg. I chair the BPTA Export Committee. 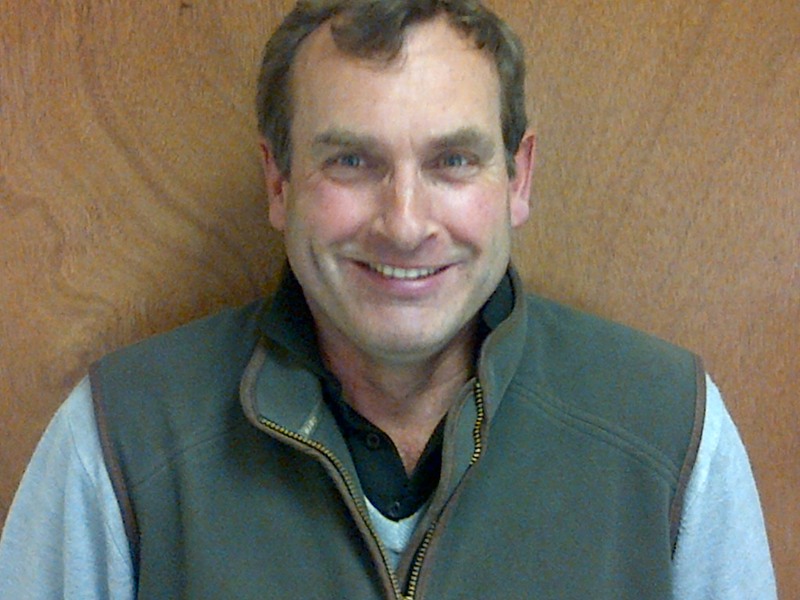 Jim McCreight has grown potatoes for over 30 years supplying the processing industry and other contract growers. Since forming S J McCreight (Potatoes) Ltd in 1983 the emphasis has been on producing certified seed potatoes for the Irish, UK & export markets. S J McCreight (Potatoes) Ltd exports seed and ware potatoes worldwide, trading in both protected and free varieties. Based in the heart of Co. Down, an area widely renowned for growing healthy seed and close to ports, the company has its own refrigerated box stores and grading station. 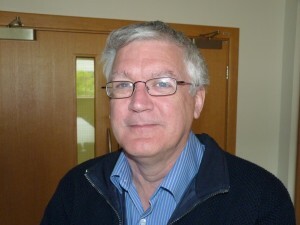 Jim is a director in Potato Partners NI (PPNI), a consortium of N.Ireland potato breeders and seed exporting merchants. The group is the commercial partner of AFBI (Agri-food and Biosciences Institute) for the world wide marketing for AFBI bred varieties. PPNI also represent New Zealand Plant and Food varieties in the EU. 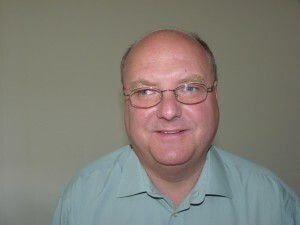 Gerard Croft (BPTA Past President 2010-2012) was instrumental in the merger of NASPM and SPTA to form BPTA in 2006. A Council member of NASPM since his co-option in 1998 during which time he sat on and latterly chaired the Seed Regulations Committee, a role that was continued for BPTA. He now chairs the Legal & Arbitration Committee. He started in the Seed Potato business in 1982 working for Pattullo Higgs as a trainee sales person. Now a seed manager for Greenvale AP, who purchased Pattullo Higgs in 1997. His significant Presidency achievements include the 2012 rewrite of BPTA Conditions for the Purchase & Sale of Seed Potatoes – which involved intense negotiations with NFU and NFU Mutual and the rewrite of our Arbitration Rules. Gerard has 4 children and devotes much of his spare time to working with youngsters as an active member of the Scout movement. 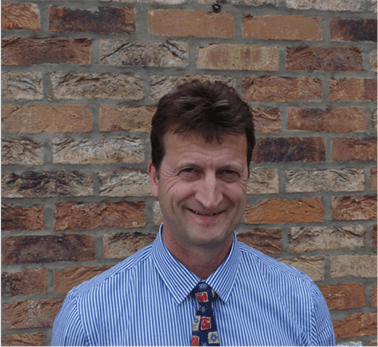 Paul Wood started in the potato trade working for MBM at Haxey in 2004, after being a farm manager for Sentry farming since he left University. In 2007 he left MBM and helped set up, along with several other MBM employees, Potato Innovations Ltd looking after the marketing of varieties owned by Meijer, TPC, Shaap and De Nijs from Holland. 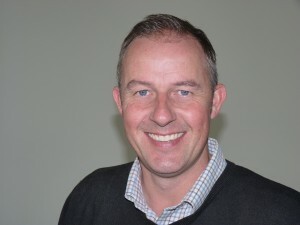 In September 2015, Paul became Managing Director for Meijer Seed Potatoes Ltd. He joined BPTA Council in 2011 and will be President in June, 2018. 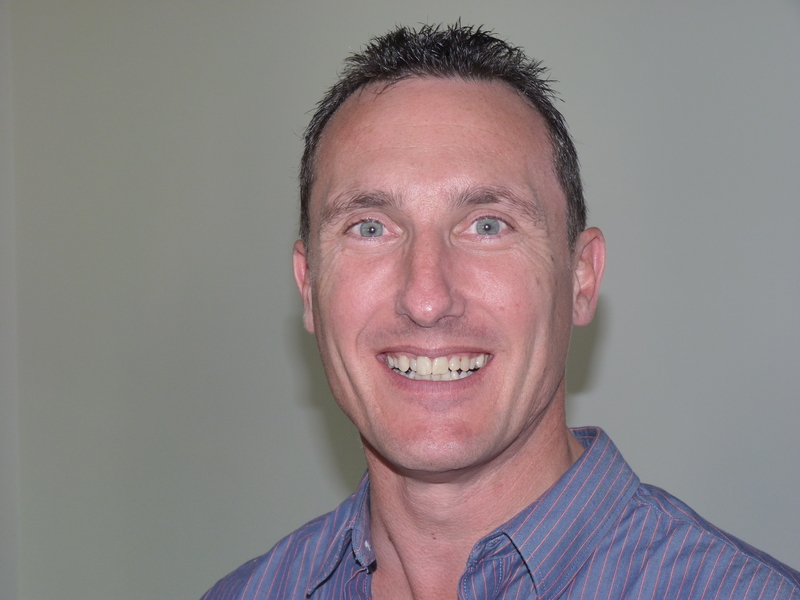 Andrew has been a member of BPTA Council since the formation of the Association in 2006, having previously served SPTA Council from 2004. Andrew was President of the association from 2012 to 2014 and regularly represents the Association, including at Europatat, on matters relating to seed regulations. 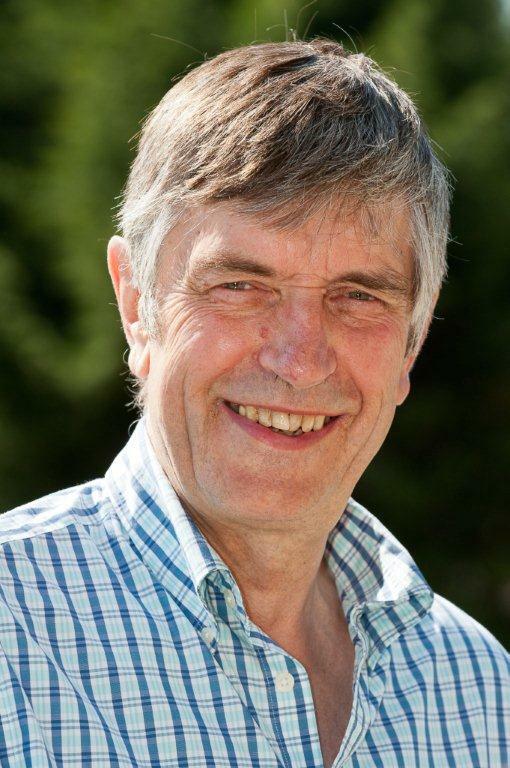 Andrew runs his own business, Skea Organics Ltd, which is involved in marketing organic seed and ware potatoes and organic vegetables, as well as speciality and niche potato varieties. 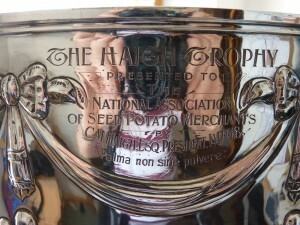 The Haigh Trophy was gifted to the National Association of Seed Potato Merchants by C M Haigh who was President of NASPM 1947-48 with the intention that it be presented annually to that person who shall be adjudged to have rendered outstanding meritorious service to the seed potato trade in general and to the Association in particular. Description: Agrico UK Limited specializes in the production of high quality seed potatoes for supply to its customers, UK and worldwide. Description: Independent producers and suppliers of UK, imported, new and established varieties of seed potatoes. Description: Potato trading company specialising in seed and ware frying varieties to chip shop and processing industries. Description: We are a grower group producing 30,000 tonnes of ware and 3,500 tonnes of certified seed during late May and November annually. Description: Growers, importers and exporters of maincrop and salad table potatoes. Description: Specialist ‘chippin’ potato seed and ware. Supplying and promoting all including all varieties throughout the ‘chippin’ industry. Description: Seed potato marketing both in UK and abroad. Description: Seed and ware potato growers, washing, grading and storage facilities. Potato haulage specialists.